Unique formula with Lactic Acid, Sodium Lactate, Tea Tree Oil, Lavender Oil, Chamomile Extract, Oregano oil and Pine oil. 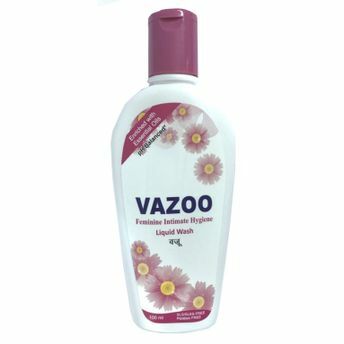 Vazoo Intimate Hygiene Liquid Wash is enriched with essential oils, pH balanced, free of Paraben and SLS/SLES. It is safe and gentle on the skin offering natural protection and long-lasting freshness. It helps you gently cleaning the intimate areas keeping it free from unwanted odour. It is specially designed to keep the pH level balanced and protect the intimate area from infections and inflammations.